Traveling is an age old activity for human beings to feel relaxed and rejuvenated. In a way it’s an escape from the current world to the world of other lifestyles, cuisines, and landscapes peppered with an all new routine. The slight change in your routine would sometimes result in discovering inner strengths and even looked as a good experiment before you take up that new project or job. It’s a philosophy to perceive travel just not as a pastime but as a tool to learn a whole lot of new things in life. Our team is trying to outline some of the destinations in Malnad region covered off Bangalore during our last trip. The experiences were plenty but we have tried to aggregate the best of them and document precisely. We did this road trip from Bangalore to give you all an exposure to the holidaying ideas that you could also plan for your next trip in Malnad. Every trip could be a unique experience and each season is so welcoming and soothing in Malnad region of Karnataka. We all departed in an A/c Coach Tempo Traveler of 12 Seats capacity. The Journey began from Indiranagar Bangalore, we had planned to get together at one of our colleague’s house. It was 6:30 AM and was really chilly morning in Bangalore. It was a welcome weather as we had anyway opted Malnad for trip heeding to its pleasant weather conditions. The vehicle was all set packed with our luggage and began our journey sharp at 7:00 AM after a cup of brewing hot tea. We hit the Nelamangala 4 way which is popularly called as Bombay-Pune Highway from Bangalore. The roads were empty and our driver smoothly took us out of the town as we said bye-bye to our work and schedules back in the city life. It was a pleasant journey towards our first destination called Hassan. We connected from Nelamangala highway to Hassan Highway, all best quality 4 way roads. We reached Hassan at our accommodation stop which was a beautiful homestay around 12:45 PM. We received a warm welcome from homestay staff with a glass of buttermilk/coffee. We just wanted that nothing else would have made us happy then. We stayed there enjoying all the activities, food and fun at the homestay and retired for the day. We started our journey to the coffee country of Karnataka, Chikmagalur after finishing breakfast at the homestay around 11:00 AM. The roads to Chikmagalur are superb from Hassan and we could reach Mulaingiri foot hills around noon for lunchtime. The more we drove in these regions, the less was the memory space on our cameras as we continued to click-click-click everything en-route which was just picturesque. We reached Chikmagalur estate homestay which is again surprised us with a lot of amenities and things to do around. It was a reviving experience to have shunned our ipads, laptops and mobile phones and surrendered ourselves completely to the enchanting beauty of Mother Nature. The coffee estate tour, trekking in the woods, waterfalls and playing in the stream brought back our beautiful childhood memories. Once we were back in the homestay we were given a nice campfire and concluded our day with a hot and tasty dinner. We all ate sumptuously and took a deep sleep at night. Our energy level was so high that we were mesmerized at the pace at which we were engaged in physical activities and sports. A sumptuous and filling breakfast in the morning reminded us that we need to check out and move towards our next beautiful destination in Malnad, popularly called as the heart of Malnad, Thirthahalli. We started off around 10:00 AM as plenty of our photography enthusiasts wanted to halt at places between the journeys for those picture perfect clicks. 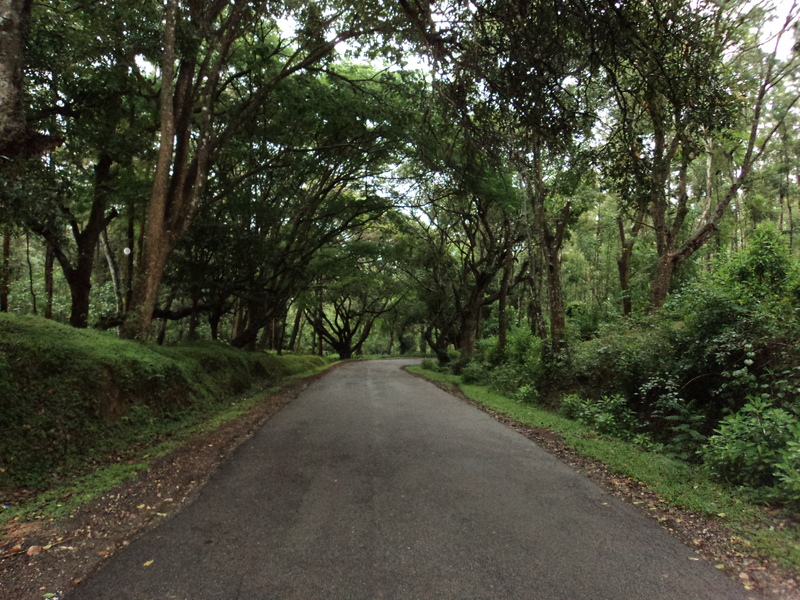 The roads were bending and curving from Chikmagalur towards Thirthahalli but we couldn’t feel it as our eyes gazed at the magnificent estate and plantation landscapes in this area. We gave a brief pit stop near Balehonnur on the highway at a Café for a nice filter coffee. 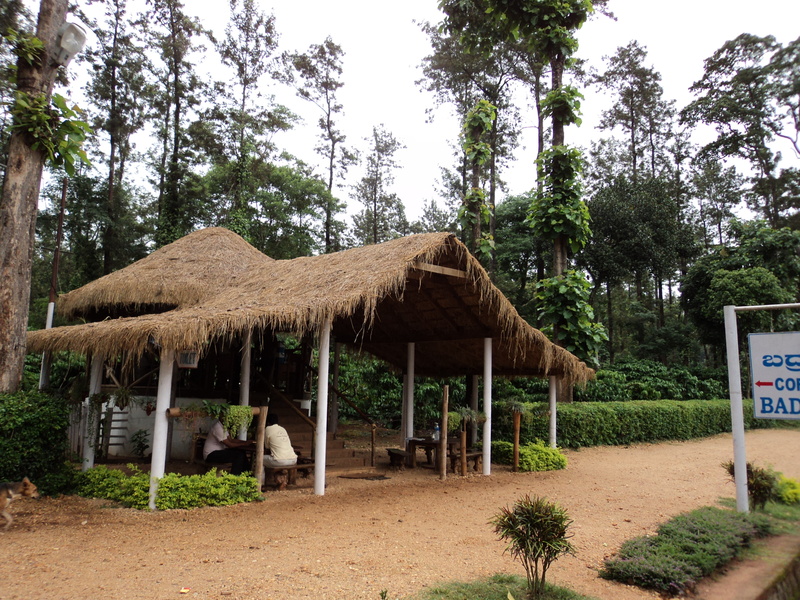 It was awesome to find such lovely place amidst the estates to sip a hot cup of filter coffee. Our hosts at Thirthahally rang us asking what food we need for lunch. It’s a nice gesture of our hosts not to prepare something that they like but to ask guests before cooking anything. We all appreciated that attitude towards hospitality which we all love to enjoy. We arrived at Thirthahalli a small and very beautiful township on the banks of River Tunga. Started heading towards our accommodation which was just 10 Kms from the town. 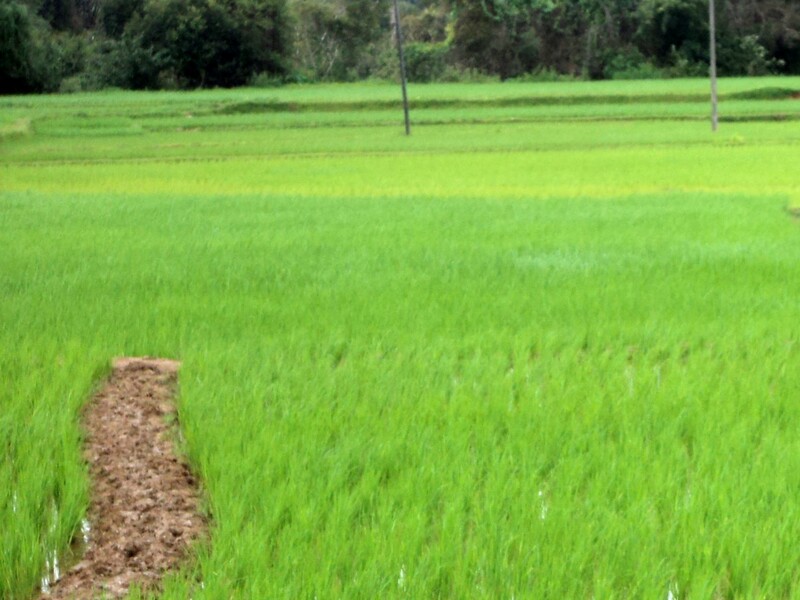 The luxury Thirthahalli homestay was nestled amidst the Areca plantations and made us feel relaxed. Malnad cuisine across this region remains the same with plus or minus one or two dishes. It was time for turning our gaze towards Bangalore where there could be a lot of work waiting for us. What made us extremely happy was the energy level we all had gained with this trip and we were ready to even cut the rocks or lift the mountains given a chance. As we all started the journey our colleague Mr Ramesh gave an extremely helpful idea that we take Chitradurga highway so that we can do a stop at the fort and help relish some more magnificence of nature to fulfill our photography appetite. It was a nice suggestion as we all enjoyed this route and also got a chance to see the great fort. We could make this journey with 7 hours with almost an hour pit stop for all recreations and food. We arrived in Bangalore around 8:00 PM and many were mulching the pleasant experiences we had during the entire trip. We took our time to document our journey and for more accommodation options or photos of Malnad you can contact our holiday experts.